Why do you need to plan ahead for long-term care? If you have no clue how to answer this and you are planning for retirement, you could be in for a major financial surprise. 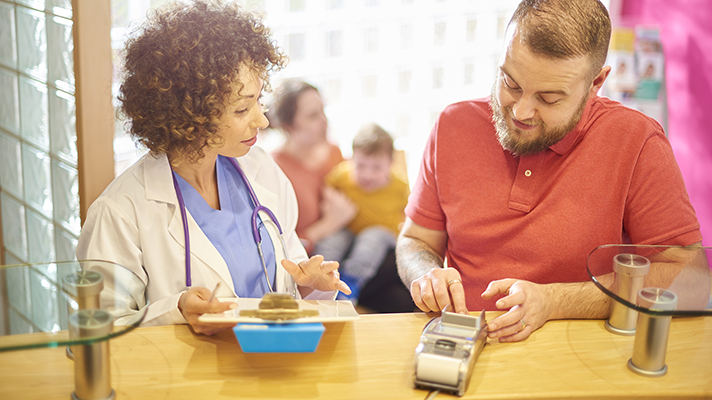 Long-term care is expensive and most everyone needs it at some point, so it’s important to take these long-term care planning tips to heart before you finalize your retirement plans. If you’re looking forward to retirement, you may think you don’t need to plan for long-term care because Medicare will cover it. This is a huge mistake, however, because Medicare offers basically no coverage when it comes to paying for a nursing home, an assisted living home, or in-home care. That’s because this kind of care is considered custodial, rather than medical, and therefore is not included in the coverage that most seniors receive from Medicare. With long-term care, you are more likely to need help with daily tasks such as bathing or dressing, and this is why more involved care is necessary. Medicaid might cover some costs if you’re eligible, or you may be entitled to assistance from the VA if you have served in the military or are an eligible dependent. If neither of these is an option, you will need to come up with other ways to plan for care. However, try not to stress yet. If you are planning well ahead of time, you have some ways to prepare yourself for long-term care. There’s really no surefire way to prevent the need for long-term care. According to statistics, you may need long-term care at some point in your adult lifetime. You can, however, try to beat the odds by making some simple changes to your life and home. Falls can be a source of debilitating injuries as you get older. Those tricky stairs could lead to a serious fall in the future, so take steps to help yourself age in place at your own home. If you do have steps or stairs, have some secure railings installed on either side to provide support and reduce your risk of falling. You’ll also want to think about fall-proofing your bathroom as time goes on, by installing grab bars in slippery areas. Another simple change you can make is to add better lighting throughout your home. You can swap out to brighter bulbs or add fixtures to ensure areas are lit evenly. Finally, don’t underestimate the impact lifestyle choices can have on your long-term health. Regular exercise and diet can reduce your risk for serious conditions such as dementia and Alzheimer’s disease and give you a chance for a more independent life. Paying for long-term care can be a real financial burden, especially if the need comes up unexpectedly. Most American seriously underestimate long-term care expenses, which can run upwards of $100,000 per year if you need to stay in a nursing home. However, you have a decided advantage by choosing to plan ahead. For one, you can research just how much care could cost you, as well as how exactly you can pay for it. If you are in your 50s, for example, you may be able to snag long-term care insurance for much lower monthly payments than someone who is only a few years older than you. When long-term care insurance is not feasible, there are other financial avenues you can include in your long-term care plans. You could pre-pay, plan to receive care from a loved one, or you can get roommates to offset housing costs and allow you to tuck away more funds for care. Planning for long-term care doesn’t have to be a headache. If you start planning early and going over all your options now, you will have more options to choose from and end up with less stress in the future if you do need some form of long-term care. So, don’t forget to add long-term care to your list of essential retirement planning steps. Telemedicine services will be more reliant on cloud-based compared to the web-based as the data or details of every patient is stored on the cloud while treatment. Artificial intelligence will be the future trend in the Tele-Medicine. There will also be more emphasis placed on the use of connected devices which can be continuously monitored at Tele-Medicine Center and required action can be taken. There is a scope that virtual hospitals might come into the picture which will be a central hub and where the patients could be treated via telemedicine. Radiology has been used effectively in the telemedicine market and fields such as dermatology, mental health and stroke care are also being used heavily. In future, other fields might explore telemedicine further such as psychiatry, neurology and others. Moreover, psychological ailments will become a big challenge for Swiss healthcare which will further increase the demand for tele-psychology. Analysts at Research Forecast in their latest publication “Switzerland Telemedicine Market Forecast to 2022 – By Service Platform (Tele Home & M-Health and Tele Hospital), by Technology Platform (Software and Hardware) and by Clinical Applications (Tele Consultation, Tele Dermatology, Tele Pathology, Tele Neurology and Others)“ believe that promoting better regulations, providing access to patient’s long term medical records, partnering with universities and corporates offices will aid the telemedicine market. Switzerland Telemedicine market is expected to register positive CAGR of around 12.4% during the period 2018-2022 in terms of revenue. Providing better data security and adopting different marketing techniques to creating awareness is expected to have positive impact on the overall telemedicine market. While EHRs and information security get all the attention, there are more immediate opportunities for the distributed digital ledger technology. Most of the buzz around blockchain in healthcare has focused on EHRs, interoperability and security, but a new potential for value-based care, precision medicine and a patient-driven healthcare system are emerging as more clear and present opportunities for the distributed digital ledger technology. 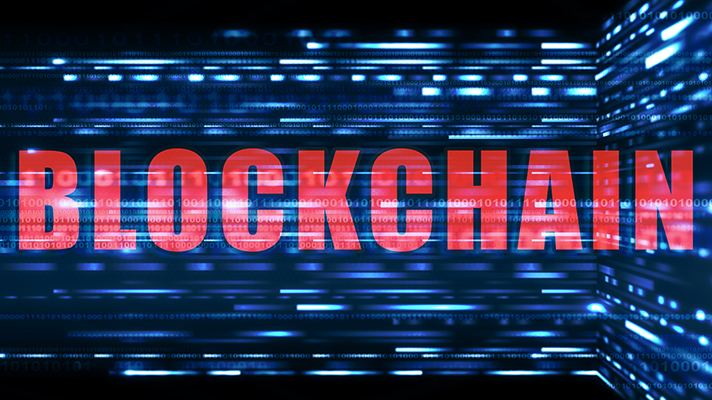 While we don’t expect the hope for data interoperability and security to fade away, hospital executives who want to stay abreast of what’s really happening with blockchain will also need to understand these new considerations. A variety of possible use-cases for blockchain are coming into focus for healthcare, ranging from clinical to financial to administrative. “Traditional healthcare fee-for-service payment systems are overly complex and expensive from an administrative perspective. On average, payment administration accounts for about 14 percent of healthcare spending. Blockchain applications can definitely reduce the waste,” said Corey Todaro, chief product officer at Hashed Health, which leads a consortium of healthcare companies focused on accelerating innovation using blockchain. Beyond fee-for-service, blockchain as a technical architecture can enable value-based payments to take off and thrive, some experts said. “Blockchain can enable a smart payment system to match the distributed care teams that will take responsibility for episode- and disease-centered payment models,” Todaro added. Claims adjudication and billing management is ripe for a blockchain-based system that can provide realistic solutions for minimizing medical billing-related fraud; this is a highly relevant use-case given the amount of fraudulent activities around improper medical billing and reimbursements across the payer industry, said Tapan Mehta, market development executive in the healthcare practice at DMI, a mobile technology and services company. Blockchain-based systems could help drive unprecedented collaboration between participants and researchers around innovation within medical research, particularly in the fields of precision or personalized medicine. 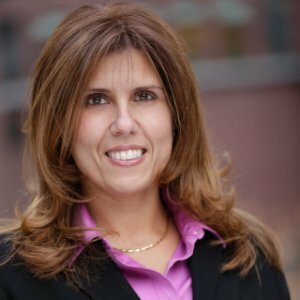 Maria Palombini, director of emerging communities and initiatives development at the IEEE Standards Association, said that blockchain can enable the patient-driven healthcare system. There has been a trend in educating patients to manage their health to embrace wellness and prevention, and that may also include the data that is generated out of this practice, she added. The best type of patient is an informed patient. If blockchain can deliver a patient-managed EHR system, the business of healthcare will be about delivering service and treatment to better health and not owning the patient’s health, Palombini said. 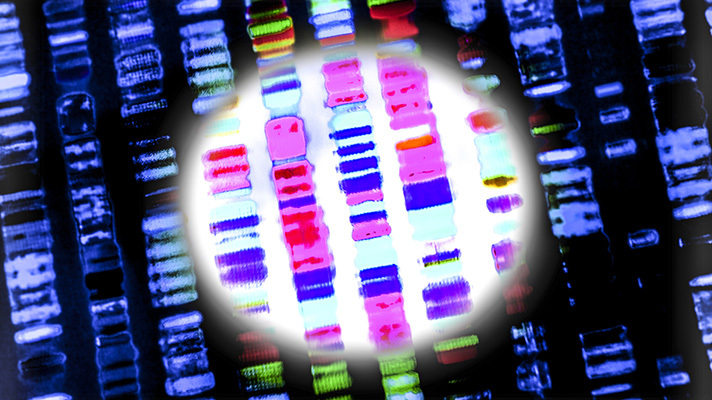 Precision medicine in clinical trials presents another big opportunity for blockchain innovation, Mehta said. Wearables and internet of things devices can also be integrated into the health IT ecosystem via blockchain. If validated, this health data could be secured, shared and verified on a blockchain and the function of the health wearable takes on a whole new role, with, for example, clinical trial patient recruitment, clinical research and treatment of disease. Indeed, patient-mediated health data exchange holds a big opportunity for blockchain innovation in healthcare. Blockchain can empower patients and data owners to control access to their healthcare data by using the blockchain as a system of record for patient consent and health data transfer activity. As more and more patients gain that kind of control over their own data it will flow more efficiently across the system to create something a lot closer to a longitudinal view than what exists now and that, in turn, can enable more accurate data, better access to new treatment options and ultimately improved outcomes, Ebadollahi said. Yes, this is where electronic health records come back into the blockchain picture. One big question is how might blockchain affect the evolution of the electronic health record? 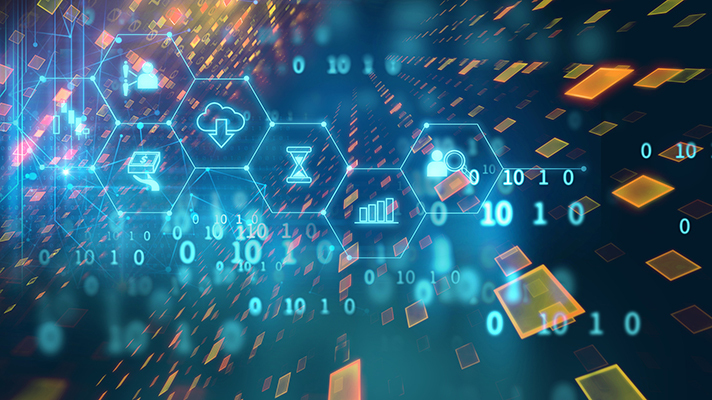 Blockchain can enhance EHRs in many ways, presuming healthcare CIOs and other executives want to move in that direction. 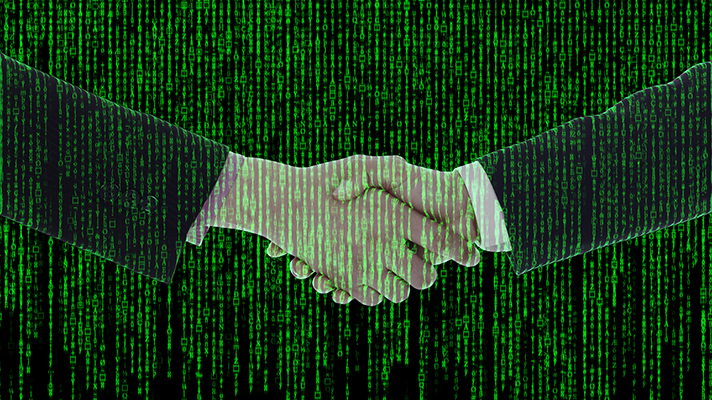 Currently, EHRs focus on clinical data. The fastest growing type of information is exogenous data, from mobile devices and medical devices and including genomics, Ebadollahi added, and blockchain can help connect these disparate sources to the more traditional clinical data. The electronic health record, in fact, is generated from many different sources – hospitals, doctors offices, labs and more – each acting as the owner of the data. The fragmented network tying things together can be viewed as more about maintaining the business of patient care. These entities will no longer own a patient’s health record; they will merely contribute to the data in it as a rendered service, she added. Blockchain could flip the ownership and maintenance of the EHR completely upside down. It could empower patients to choose with whom, how much, and when they want to share their information, and not be beholden to any health system, she said. Dave Watson Chief Operating Officer of SSI Group said that EHRs and blockchain working together have a long way to go. Another area in healthcare where blockchain could have a profound impact, like with EHRs, is cybersecurity. Blockchain can fundamentally change the way healthcare CISOs and infosec teams think about securing data. All transactions are time-stamped and replicated in every block visible to permissioned users but can never be altered, only appended. The decentralized nature of the blockchain provides the ability to distribute anonymized, encrypted data that can be verified by credentialed users. The distributed digital ledger technology can also can maintain keys for access to data, adding another level of security by working in concert with other systems to produce immutable audit logs, thereby making illegitimate access more difficult, Hashed Health’s Todaro said. The largest opportunity is rethinking the movement of data in the healthcare ecosystem. Todaro explained that blockchain enables the development of light-data transactional models in which partners can get expanded utility without having to do large-scale data transfers or availability, both of which are sources of cybersecurity risk. In the end, one might wonder whether blockchain is all it’s cracked up to be. Evangelists sure make blockchain sound like a panacea for all of healthcare’s woes. But is it? Or is there more hype than promise? Today, the challenge in truly driving innovation in the healthcare system is the inability to obtain and share clean patient health data while maintaining data privacy. The current crop of data management systems are not designed to evenly negotiate the ability to share data while retaining privacy, so the default has been to safe-harbor the data and let data-sharing fall to the wayside. The very nature of blockchain – to distribute information with anonymity in an encrypted and tamper-proof environment – provides the platform to overcome this critical barrier of data-sharing and privacy, Palombini said. As history has shown time and again, however, technology for technology’s sake cannot fix all problems. “One might argue that it may not be blockchain the technology that is oversold, but the amount of work to fix existing taxonomies, protocols and policies to fully maximize blockchain may be undersold,” Palombini said. Palombini said that there are already more than 100 blockchains in existence across multiple vertical industry sectors. 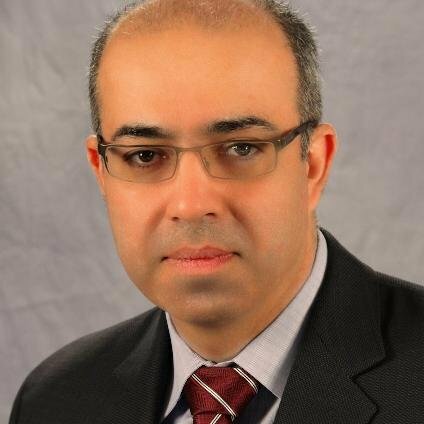 In the next five to 10 years, patient consent and data exchange backed by blockchain could fundamentally change the way healthcare services are provided by making patient longitudinal data readily available and opening the door to new treatments, new care delivery models and better coordination of care, IBM’s Ebadollahi explained. He pointed to blockchain underlying precision medicine and wellness programs outside the health systems as potentially having a large impact on outcomes. And the matters of blockchain’s inherent limitations with respect to scalability, confidentiality and governance still need to be ironed out, SSI Group’s Watson said. Working through those thorny issues will be an evolutionary journey for blockchain-based healthcare applications. Trust and governance are key as the interval between proof-of-concept production-quality technologies gets shorter. And building blockchain networks will require a lot of heavy lifting by software vendors and hospitals alike. Feb 18 Comments Off on Happy New Year 2018! New Year greetings to all the eMEDICS.org staff!!! Jan 05 Comments Off on Happy New Year 2017! About 1 percent of Google’s search queries worldwide are related to medical symptoms. That seems small, but it translates into millions of searches, she notes. In consultation with Harvard Medical School and the Mayo Clinic, Google has built millions of digital cards for millions of searches. Symptom search is currently available only in the U.S. – and only in English – in Google iOS and Android apps, and in Google.com search results on mobile phones and tablets. But Google plans to make searches available via desktop browsers and to international markets in more languages, but the company has not indicated when. For health monitoring, most respondents believe doctor-recommended mobile devices can help them manage care between visits. Regarding monitoring their health, the vast majority of Americans say they would welcome using technology and mobile devices for it, according to a recent study by the Society for Participatory Medicine, a nonprofit membership organization focused on patient engagement. The study found 84 percent of survey respondents felt tracking blood pressure, heart rate, respiratory rate, physical activity and other data with a user-friendly mobile device between provider visits would help to better manage their health. Thanks for mobile monitoring apps. “The important findings from the survey show patients really want to partner with physicians,” said Daniel Z. Sands, MD, co-founder, co-chair of the Society for Participatory Medicine. In fact, 77 percent of survey respondents felt it was both important for themselves and their healthcare provider. ORC International interviewed more than 1,000 Americans on behalf of the Society for Participatory Medicine and found 76 percent of respondents would use a clinically accurate and easy-to-use monitoring device; 81 percent would be more likely to use a device if their provider recommended it, and 57 percent would like to use the device and share the information with their provider. According to Sands, it’s a change in mindset for many providers that medical schools are attempting to combat. But it’s challenging in the constraints of a medical practice to transition to this type of care. Further research must be done on physicians to determine their issues and thoughts. UNICEF Corporate Alliances team has extensive experience working with some of the world’s biggest brands. Each corporate partner is provided with a dedicated international account manager from the Corporate Alliance team located in New York and Geneva. The account managers have backgrounds in corporate marketing, public relations, web marketing, advertising, media, market research, packaged-goods marketing, corporate philanthropy and/or product donations. UNICEF’s international account managers liaise with UNICEF’s National Committees in the country where the corporate partner is headquartered to build and leverage the alliance for highest impact. Millions of children around the world are in danger of contracting polio – it’s highly contagious and can lead to life-long paralysis. There is no cure, yet there is a safe and effective vaccine. Three doses of polio vaccine give a lifetime of immunity, meaning it costs as little as €0.33 to protect a child forever. In 1988, polio was endemic in 125 countries. Today, thanks to successful vaccination programs like those funded by UNICEF’s. We are close to the goal to end polio forever, but to do so we have to reach every child. Your support helps to vaccinate millions of mothers and babies against deadly diseases and keeps millions of children safe from polio. Your kind donations will help UNICEF keep more children safe. Donations can be made in Sterling, Euros or US Dollars. Use any of the picture on the following page to donate. In over 190 countries around the world, UNICEF teams are doing whatever it takes to reach the world’s most vulnerable children. They’re saving lives, protecting childhoods and getting children to school. They’re constantly monitoring the situation of children worldwide and act rapidly when an emergency strikes.But they don’t just want children to have better lives today; they’re working with governments and partners to change laws and policies to help future generations of children too. From immunizing children against preventable diseases, to rebuilding schools after disasters, UNICEF does whatever it takes to reach every child who needs us. But to do this they need the help of supporters like us. Give a monthly gift today and you can save lives, protect childhoods and give children the chance to go to school every month. eMEDICS.org is sponsoring UNICEF Switzerland projects all over the world and donates 5% of any of its sales to UNICEF in order to promote their actions and make children have a better life. This is another fine example of how smartphones could be used to good effect in modern day medicine. Roche Pharma Research & Early Development (pRED) has developed a smartphone-based monitoring system for those with Parkinson’s disease (PD) that complements the traditional physician-led assessments with automated tests that continuously measure their symptom fluctuations. This could be the first time that such an app has been used to measure disease and symptom severity in a medicine development program in Parkinson’s disease. “The app is being used in a Phase I trial run by Prothena, in collaboration with Roche in PD. In clinical trials in this area, disease disability and impairment are traditionally measured by physician assessments using the Unified Parkinson’s Disease Rating Scale (UPDRS). However, these are limited to the specific times that patients go for an appointment with their physicians. The app will enable continuous measurement of PD fluctuation every day and throughout the day. Ultimately, we hope the app can be used in future clinical development to enable more objective measures on response to treatment to complement doctor assessments,” explains Anirvan Ghosh, Head of Neuroscience Discovery for pRED. Patients will be asked to follow a daily routine with the app, using it every day for the duration of the trial. The routine will consist of six active tests followed by passive monitoring. These assessments are designed to provide information on a person’s symptoms, their progress and impact on daily life. The app has been developed in consultation with Max Little, a pioneer in PD app development who is best known for his work on the Parkinson’s Voice Initiative. Max is Assistant Professor at Aston University and is associated with Oxford University and the MIT Media Lab. The project has also been presented to the Michael J. Fox Foundation for Parkinson’s Research. “The data collected will be used to predict patient UPDRS scores and study symptom fluctuations throughout the duration of the trial. In addition, patient adherence data will be used to assess the patient’s willingness to adopt technology which will be beneficial for future trials,” says Christian Czech, Group Leader in Neuroscience Biomarker Experimental Medicine, pRED. For passive monitoring, patients are asked to carry the smartphone with them throughout the day. Data is then collected from the various smartphone sensors. Patients will be asked to use the app for the duration of the trial, including screening, dosing and follow-up, which may last up to a period of about 32 weeks. The app is equipped with dashboards that show the patient’s compliance level. Based on this information, investigators can guide patients to use the app more regularly. Additionally, we can also monitor how much data is coming in from the smartphones. Based on this, we can ask investigators to speak with patients who should be using the app more regularly,” points out Christian Gossens, Head of Early Development Workflows, pRED Informatics. The app has been developed for Android and it has been deployed to the trial on a Samsung Galaxy S3 Mini. Roche provides patients with dedicated, preconfigured smartphones for the sole purpose of remote patient monitoring via the app. This makes the device and the app easier to use for the elderly patient population. The stark reality is that we will all grow old at some point. The years have a way of catching up with us–and when they do, we generally have one common wish: to live out our years in our existing homes in a safe and comfortable manner. But finding a qualified caregiver for our loved ones, if we are unable to care for them, may be the most difficult part of realizing that wish. The statistics are daunting when it comes to home care for older persons. There are some 55 million adults taking care of their parents, with over 2 million caregivers. And close to 92% of adults when surveyed would rather live in their own home as opposed to a nursing home. The fact is that in a large percentage of cases, family members have difficulty caring for a senior relative, so searching for a caregiver is a necessity. While there are tens of thousands of agencies across the country that can match you with a caregiver, there is no customization of the process, and you have no way of seeing what’s going on when you are not home. Programming since the age of 12, the computer engineer-turned-entrepreneur migrated to Silicon Valley working at Yahoo YHOO +0.00%, then transitioned to Bain Ventures. After he and his family struggled to find a caregiver for his 93-year old grandfather who was previously living independently, Bruno decided to quit his job at Bain Ventures to start a company that would make it easier for families to locate and hire qualified caregivers. “If you asked me four years ago what I would be doing now, there was no way I would have guessed that I would be working in aging—but these things all happen through personal experience,” said Bruno. Bruno did some research, and after contacting and volunteering at several dozen homecare agencies, he realized what a huge need — and opportunity — exists in the $80 billion in-home senior care market, which today has a poorly organized workforce and a customer base often with chronic medical illnesses who may not receive the best possible care. Bruno’s personal journey to find the best possible care for his grandfather uncovered myriad issues ranging from lack of coordinated training for caregivers to a feeling of emotional detachment that emanated in the quality and approach to geriatric care, he explained. Without the proper tools for the families, and without the support from the caregivers themselves, there had to be another answer to providing high quality home care for seniors. Bruno kept asking himself why the homecare industry was in such disarray, and by volunteering at several agencies, he became convinced that there was a more efficient way to improve delivery by using technology to power the change. So, Bruno assembled a team of other like-minded 20-somethings, including Harry Heymann, who designed the architecture and wrote the backend code for Four Square, considered a pioneer of consumer mobile applications. Hometeam, launched in 2013, is based in New York City, but also has clients in New Jersey and Philadelphia. The company plans to expand into nine more states within the next year. The company raised $11 million last year from Lux Capital, IA Ventures and Recruit Strategic Partners. The company has already sent more than 250 caregivers into hundreds of homes throughout New York, New Jersey, and Pennsylvania. The caregivers are made to feel part of a team, and are given employee status with health insurance and workers comp benefits, as opposed to being independent contractors or considered part-time workers. They are also compensated 30-50% more than a typical caregiver hired by a standard agency in current markets. While typical wages for a standard caregiver hover around $9-$10 per hour, Hometeam’s wages are closer to $15 per hour. Clients are charged from $20-$27 per hour. The company’s mission is to transform the in-home care and aging experience by providing elderly clients with personalized care planning, expert caregiver matching, custom mobile technology, and proactive case management to improve older adults’ health and well-being while giving their families peace of mind. Using technology to improve in-home care has other competitors currently in the marketplace. Among the notables, Honor, founded by Seth Sternberg, formerly of Google GOOGL -0.77%, launched earlier this year in the San Francisco Bay Area, and had raised 20 million by April of 2015. Touting itself as a technological solution to in-home care, its impressive line-up of supporters include Marc Andreessen, as well as Jeremy Stoppleman, CEO of Yelp. Its caregivers are not employees, but independent contractors. CareZapp, a UK start-up in 2014, prides itself on its technological wizardry leading to more holistic care, allowing patients to communicate with other patients as well as doctors and family members. The app can also interface with other smart in-home technologies including motion sensors that can track movements and alert family members when there are aberrations. Hometeam sets itself apart from its competitors by developing its own software that intelligently matches families with experienced caregivers, connects families to their loved ones through the use of mobile technology in the home, and helps caregivers plan days that improve the quality of life of older adults. Hometeam also distinguishes itself is by having its caregivers identify activities which every patient prefers–something that can be challenging when a person has physical limitations which impair movement and mobility. The core foundation of technology for Hometown begins with an iPad for each home that is used by the caregiver to send texts, pictures, and update family members about any changes in medical conditions. The broader picture, however, may become the integration of technology-enabled apps that also can monitor key parameters of health such as blood pressure, heart rate, medication compliance, and ideally dispatch and communicate with a medical provider when there are aberrations in patterns of vital signs. Family members, clinicians, and assisted care providers will need a new generation of technology platforms to help them stay informed, coordinated, and most importantly, connected,” added Able. “Aging in place and staying in one’s own home environment is highly desirable to most senior citizens,” emphasizes Able, so in order to accomplish this goal, equipping the home with the most useful technology will become critical in the next few decades. 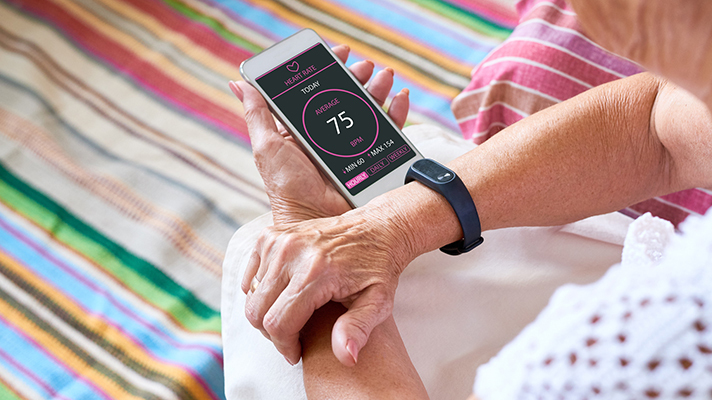 “Startups in the ‘Connected Senior’ vertical must develop meaningful biometric wearables that provide familty members, caregivers, and clinicians the information necessary to attenuate the need for costly emergency care, hospital stays, and multiple physician visits,” he added.